Henry Herbert has requests from all corners of the globe and every request is special and different. Pictured is a set of pyjamas that we made for a customer in Germany – a slim tab collar complemented by a super soft Egyptian cotton. See also: Bespoke Shirts, Bespoke Suits, bespoke tailors, cornersof, egyptian cotton, Germany, globe, Henry Herbert, Henry Herbert Tailors, pyjamas, request, Savile Row, savile row tailor, tab collar, Tailored Suits, wedding suits. Henry Herbert makes Pyjamas too!. 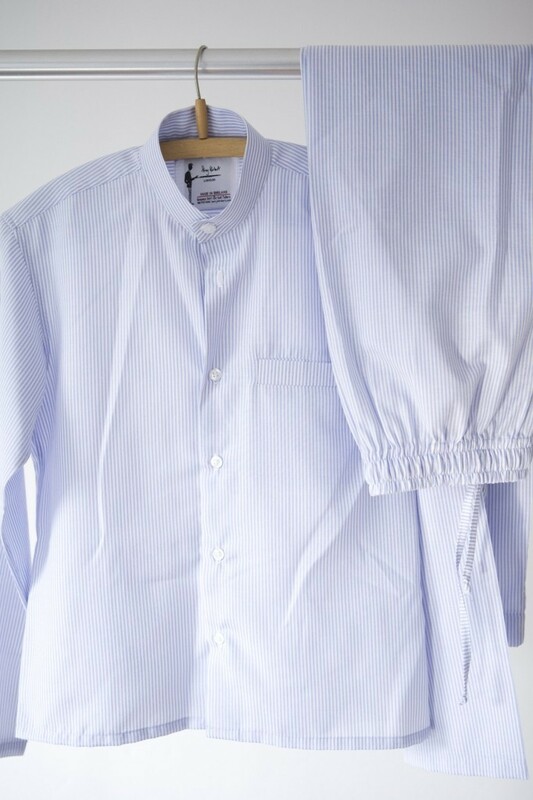 Bespoke pyjamas by Henry Herbert, made of the softest, finest Egyptian cotton.